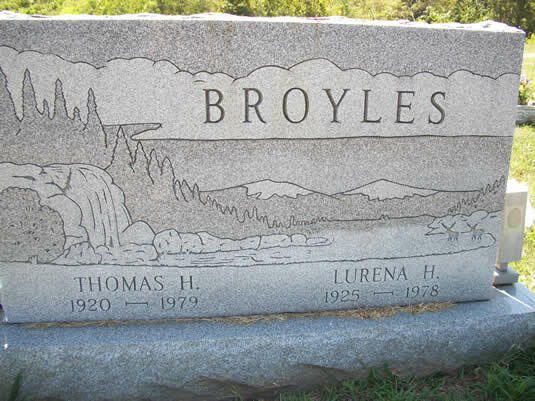 Broyles Benny Lee OhioValley M.G. 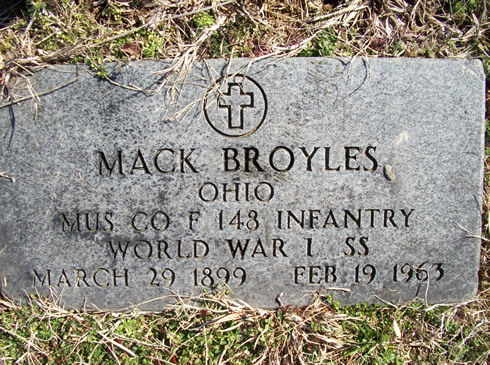 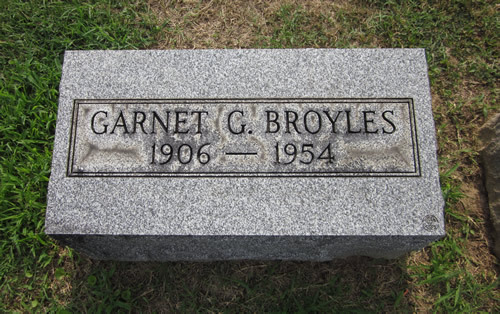 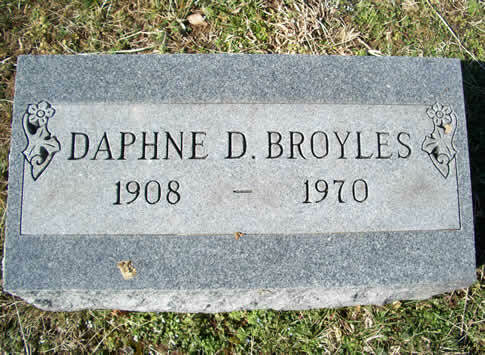 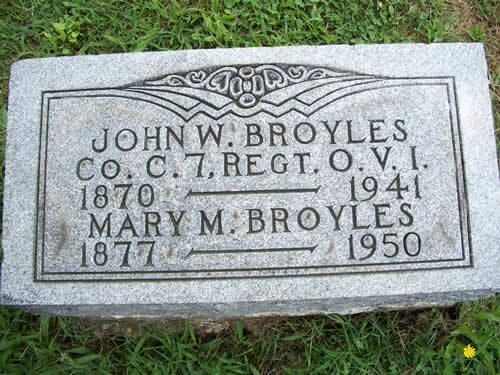 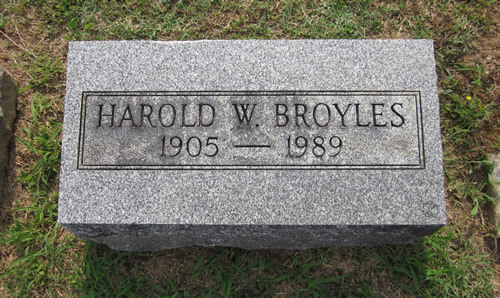 Broyles Bernard W. OhioValley M.G. 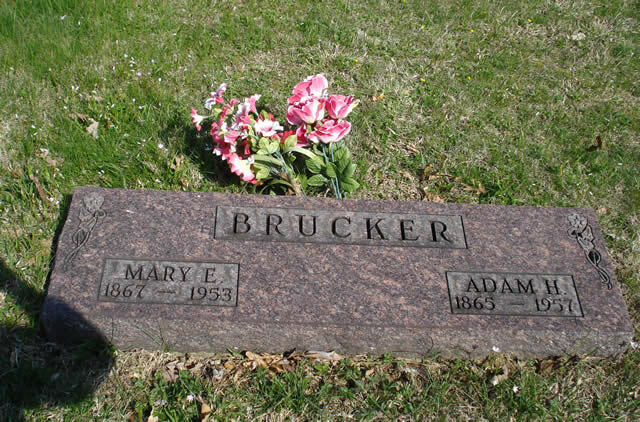 s/o N. & S. C.
s/o G. M. & M. E.
s/o G. H. & A. 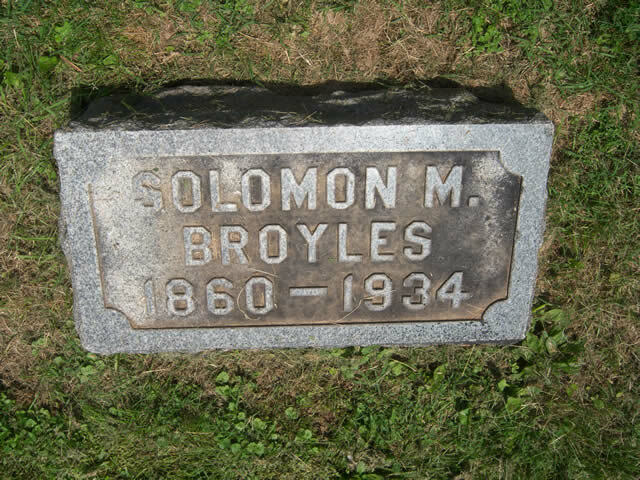 B.
d/o Solomon and G. C.
d/o N. & S. C.
s/o J. M. & M. E.
Brucker Herman G. OhioValley M.G. 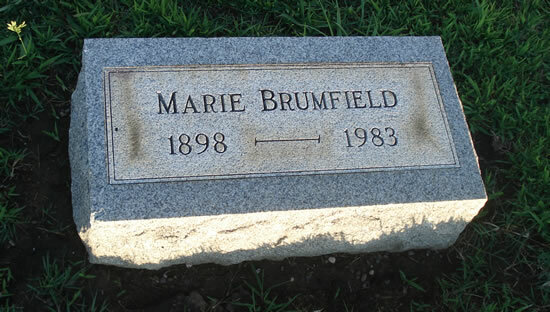 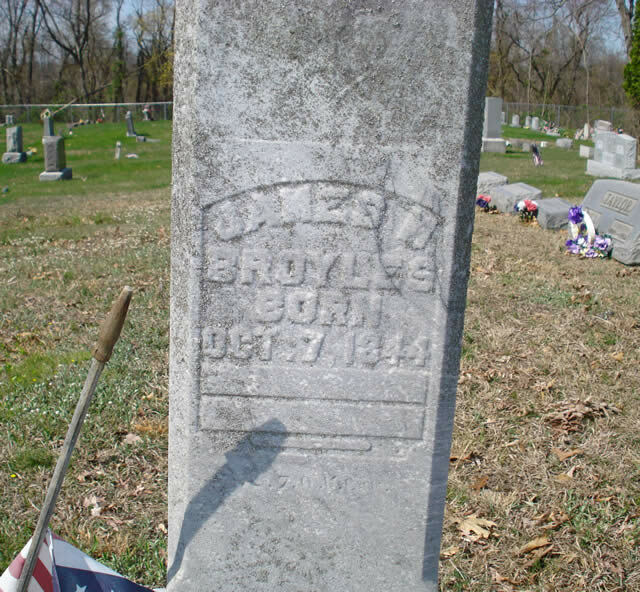 Brumfield Cornelia I. OhioValley M.G. 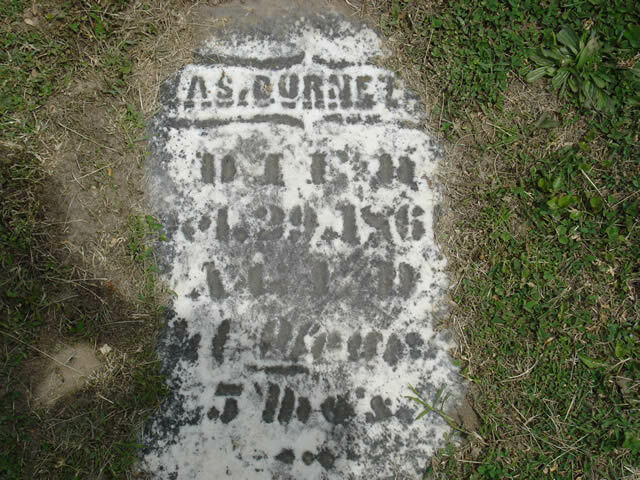 d/o B .B. 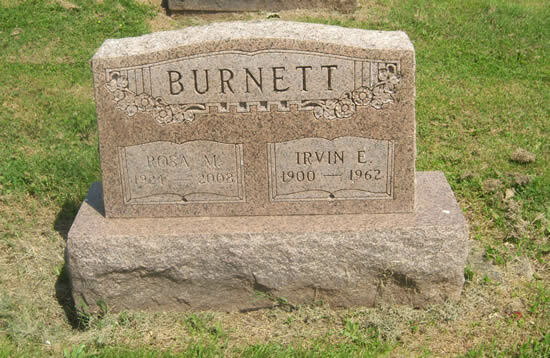 & G .J. 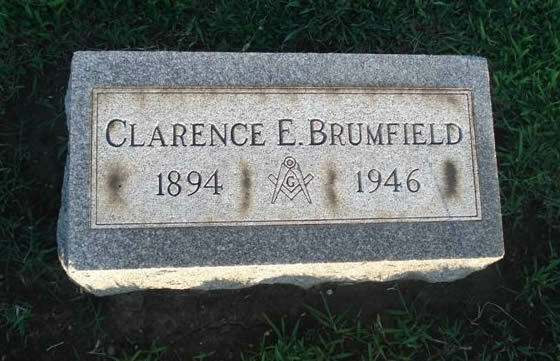 Brumfield Esco T. OhioValley M.G. 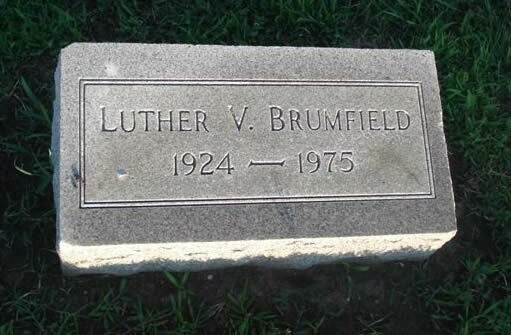 Brumfield Hollis Lee OhioValley M.G. 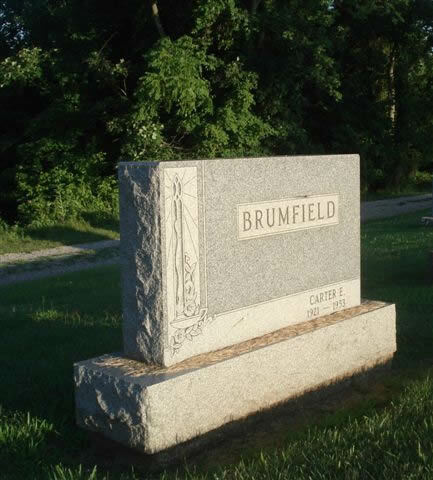 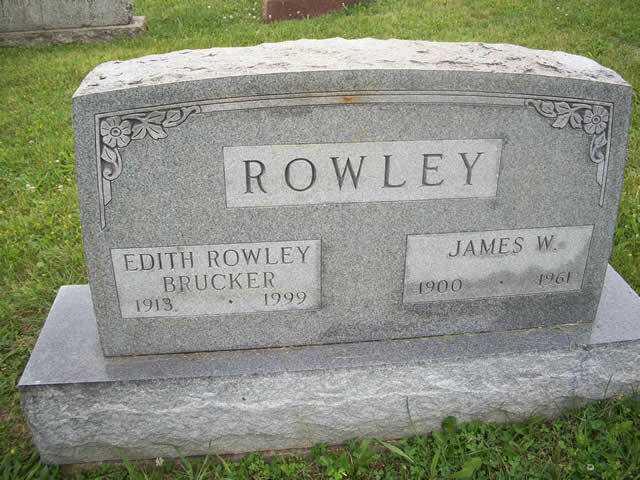 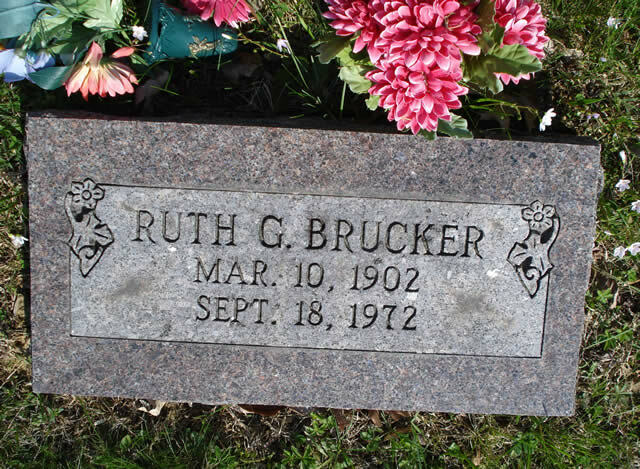 Brumfield Ida Ruth OhioValley M.G. 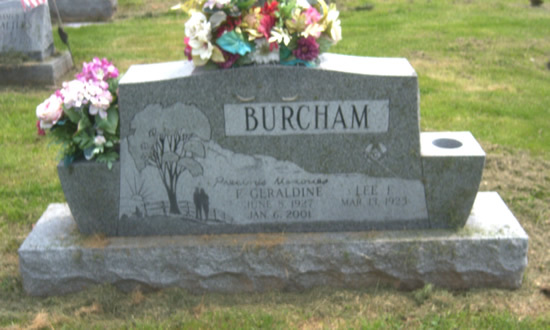 Brumfield Jeffery Eugene OhioValley M.G. 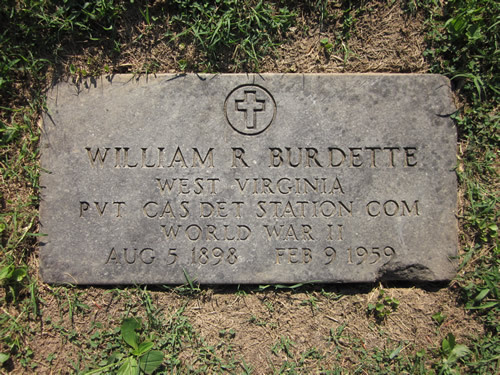 Co.B, 1st WV Light Art. 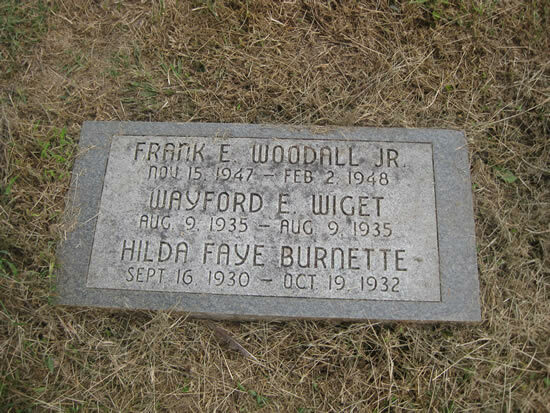 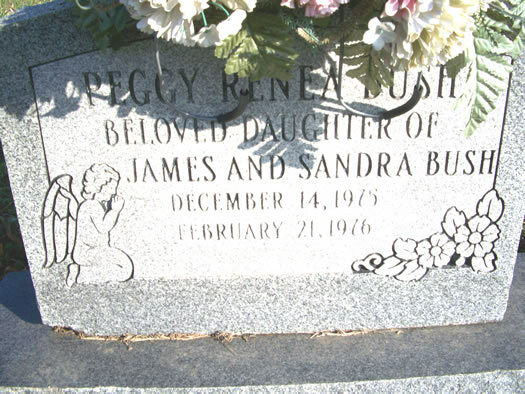 12/15/1919 10/30/1991 h/o Dorothy L.
infant d/o C.E. 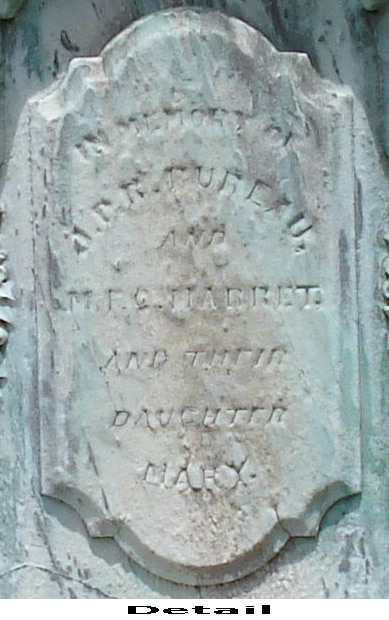 & M.E. 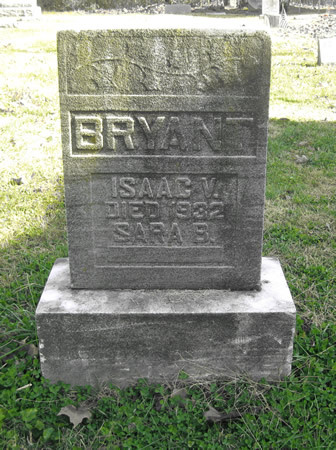 Bryant Barry Steve OhioValley M.G. 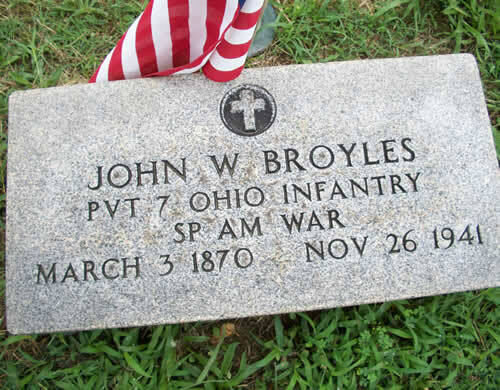 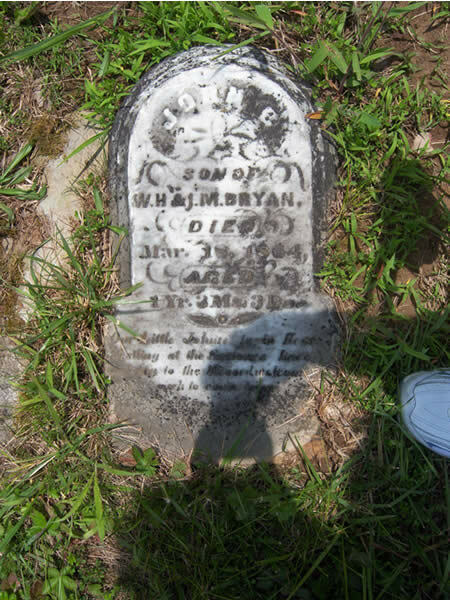 Bryant John Thomas OhioValley M.G. 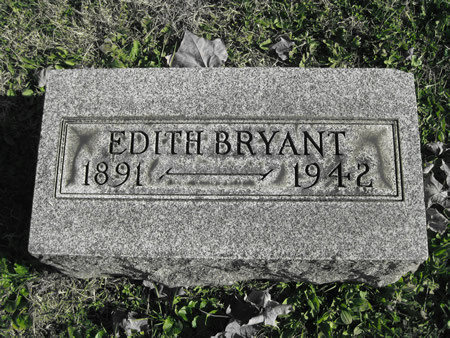 Bryant Oleva Gale OhioValley M.G. 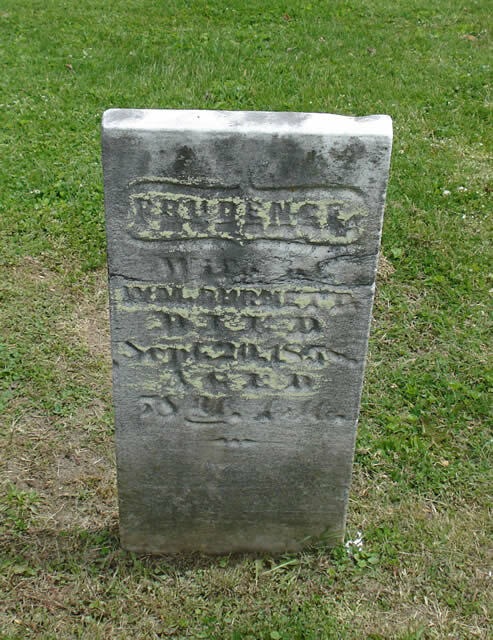 Co. G 1 Ohio H.A. 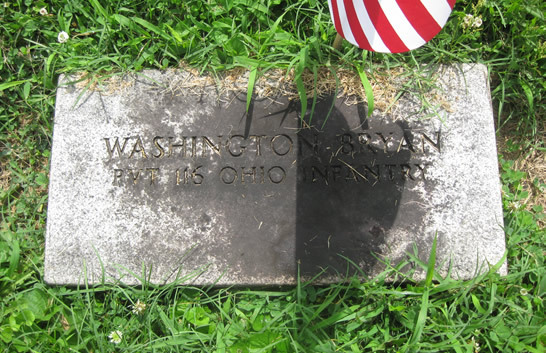 1842 7/19/1898 Co. A, 13 W. Va. Inf. 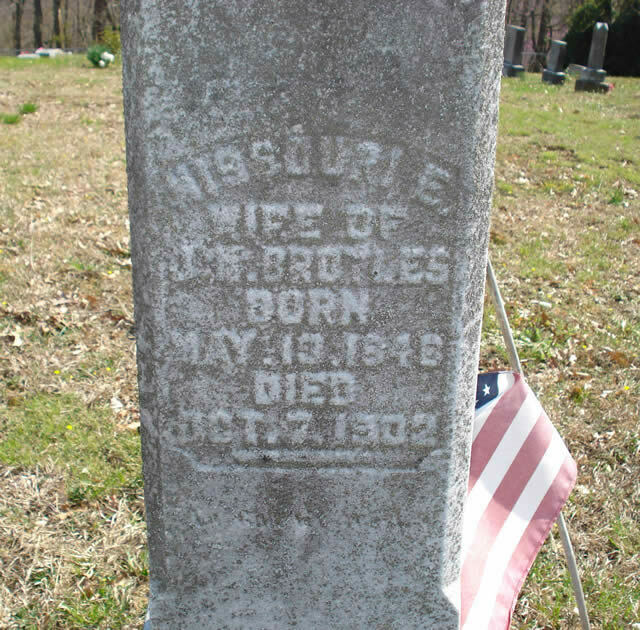 4/10/1838 9/29/1917 no stone; Co D, 131st O.V.I. 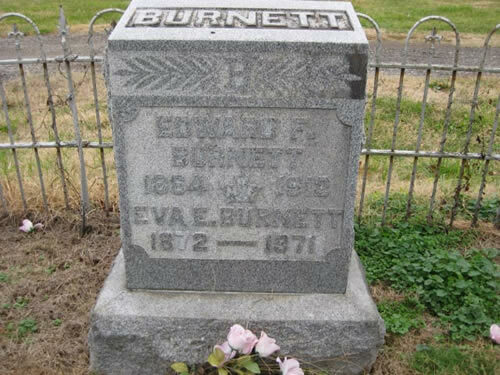 Burdell David E Calvary Bapt. 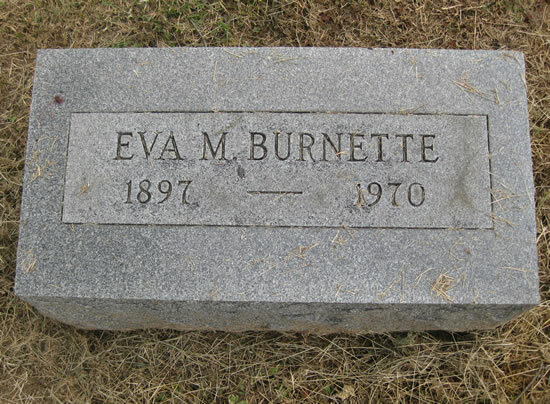 Burdell Emma C. Calvary Bapt. 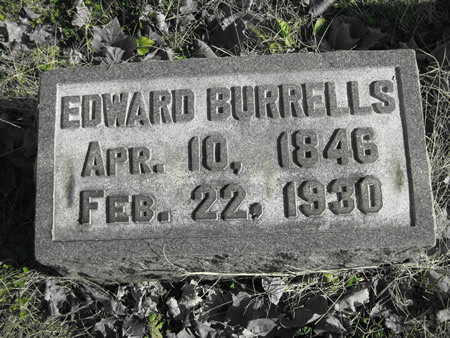 Burdell Frances William Calvery Bapt. 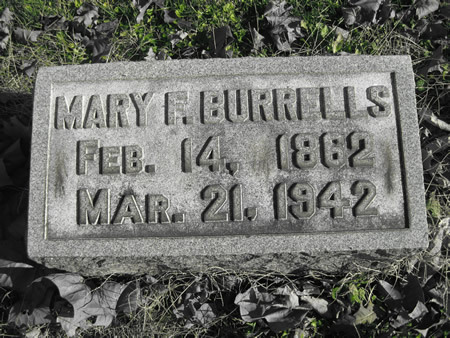 Burdell Frieda L. Calvary Bapt. 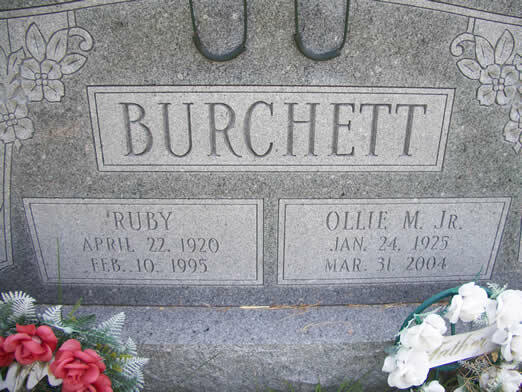 Burdette Billy Joe Calvary Bapt. 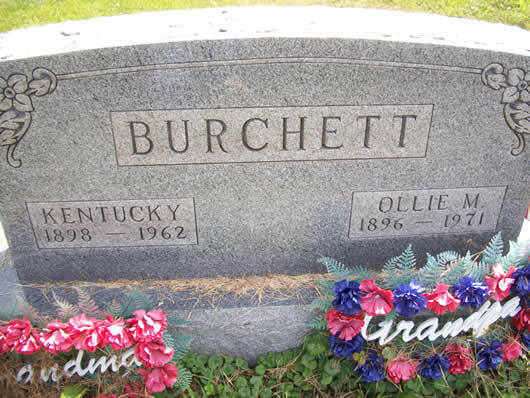 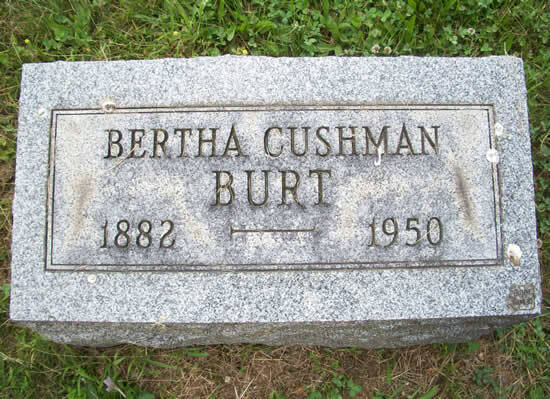 Burdette Otho Sr. OhioValley M.G. 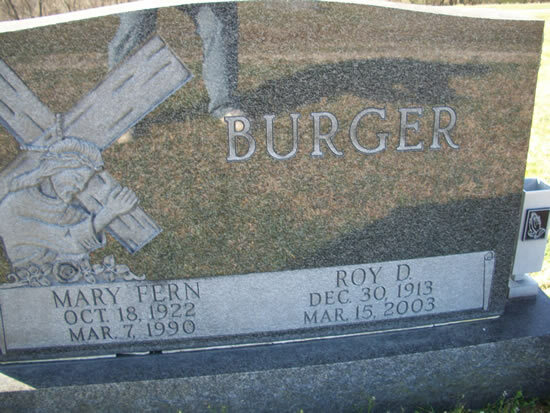 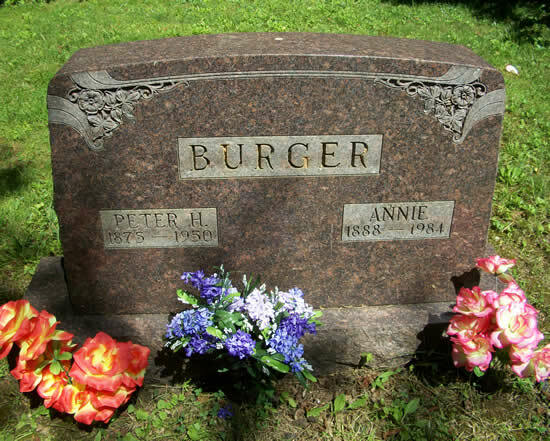 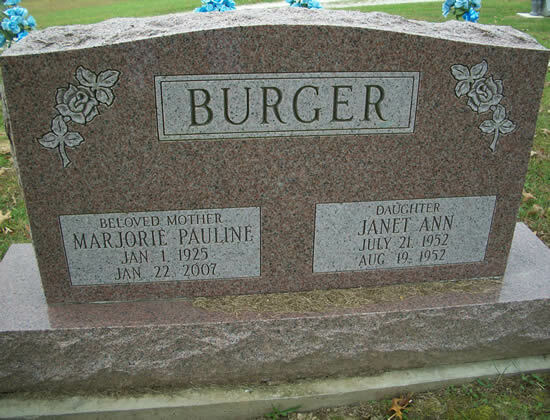 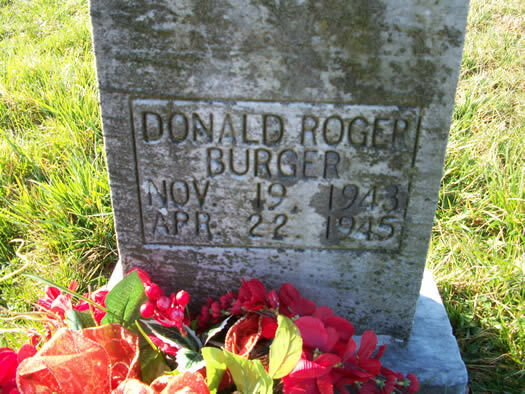 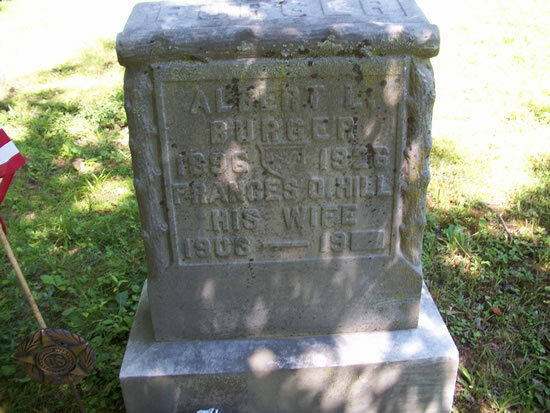 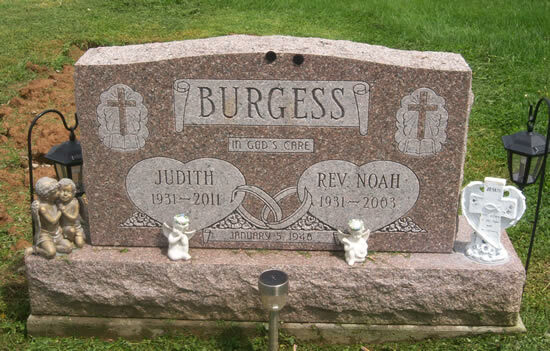 d/o J. P. R. & M. F. C.
Burger Evelyn Louise OhioValley M.G. 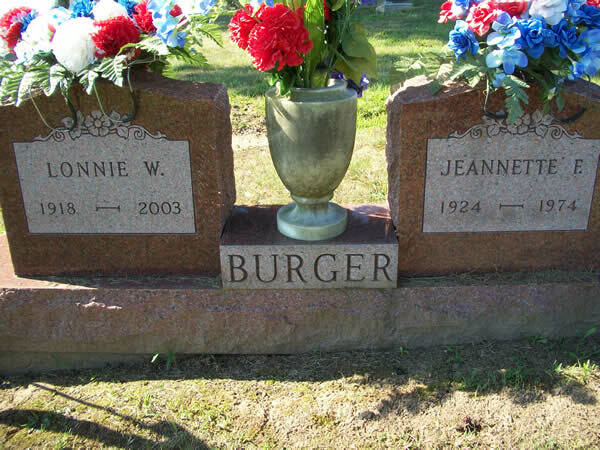 Burger Joseph H. OhioValley M.G. 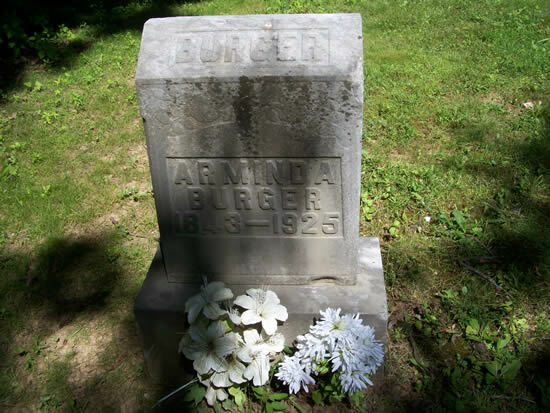 Burger Virginia E. OhioValley M.G. 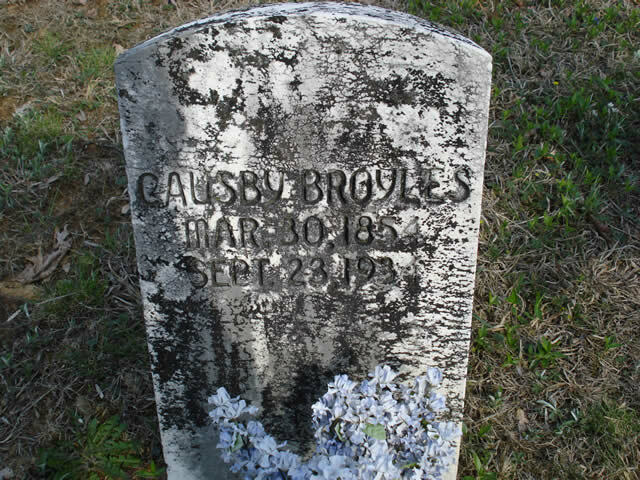 Burlile Hazel B. Calvary Bapt. 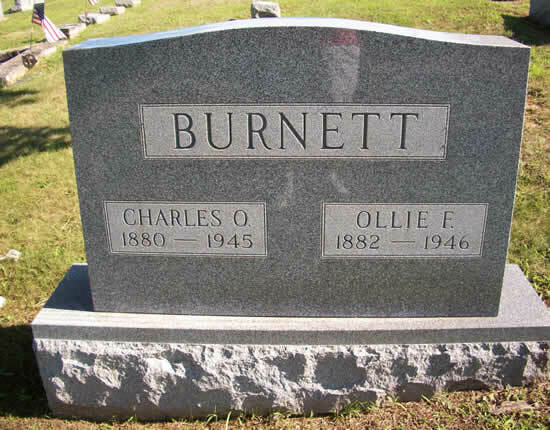 Burlile S. Essel Calvary Bapt. 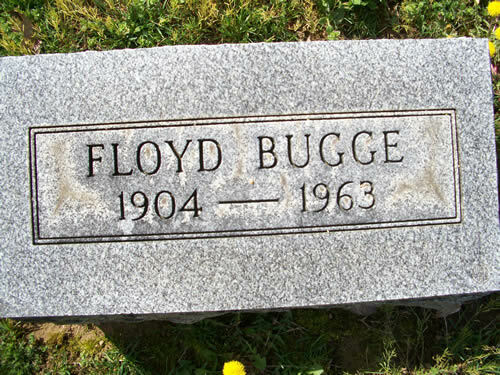 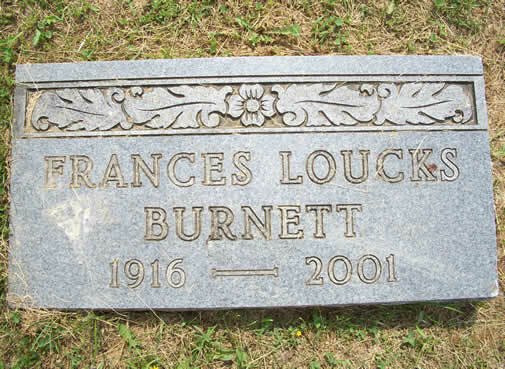 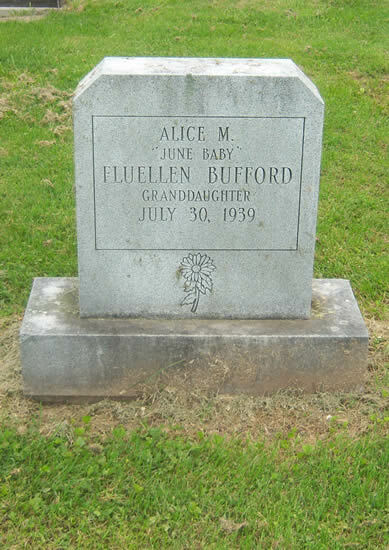 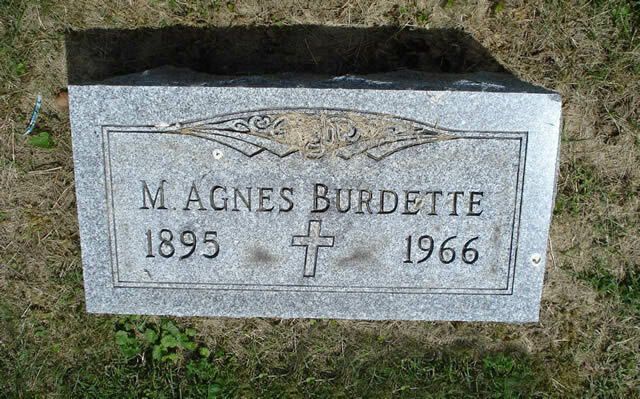 1915 5/10/1934 no stone; death cert. 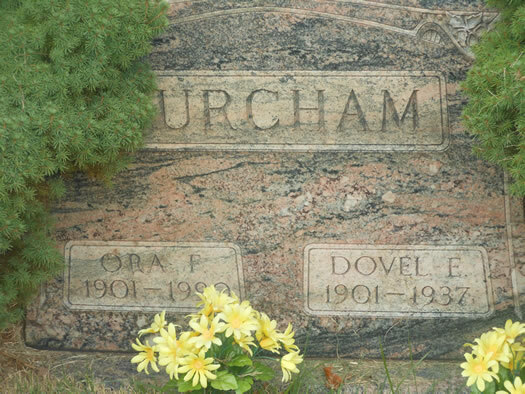 d/o Carroll & Ruth B.
Burnette Carroll Howard OhioValley M.G. 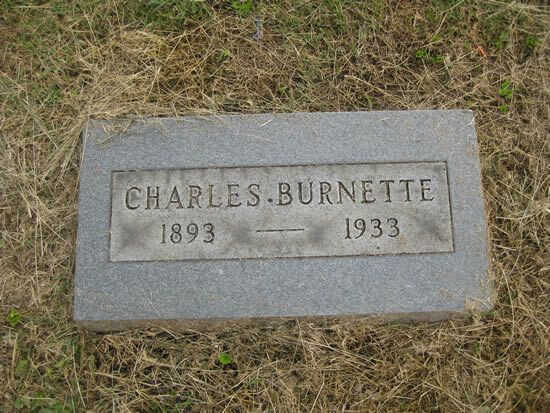 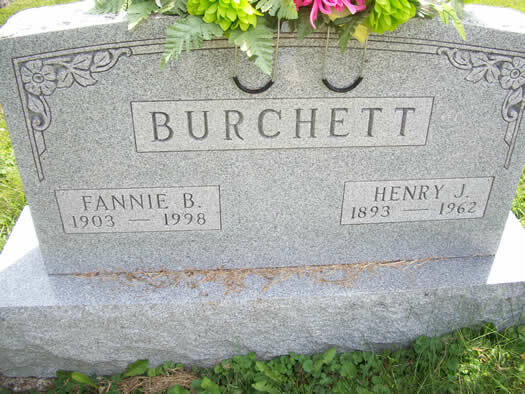 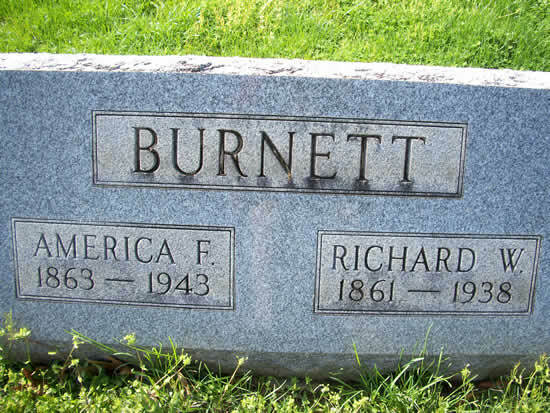 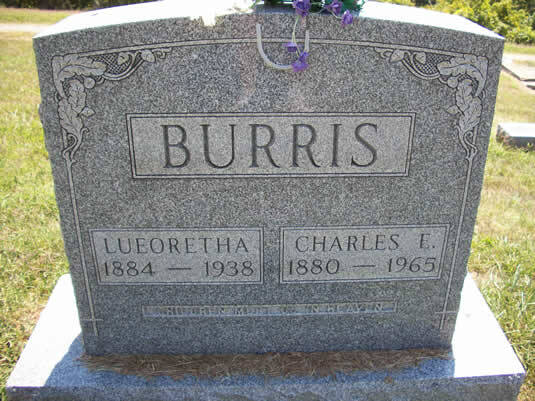 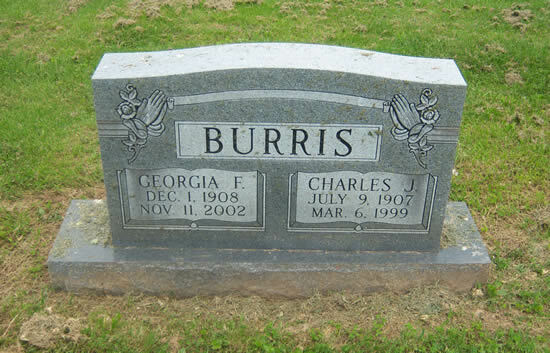 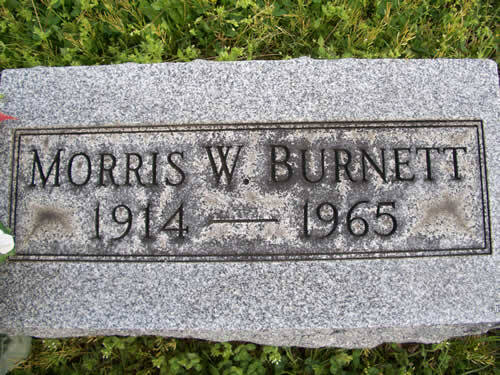 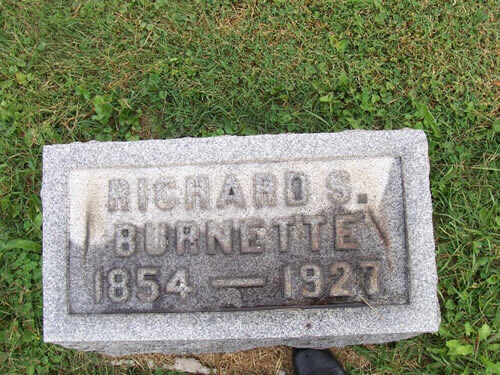 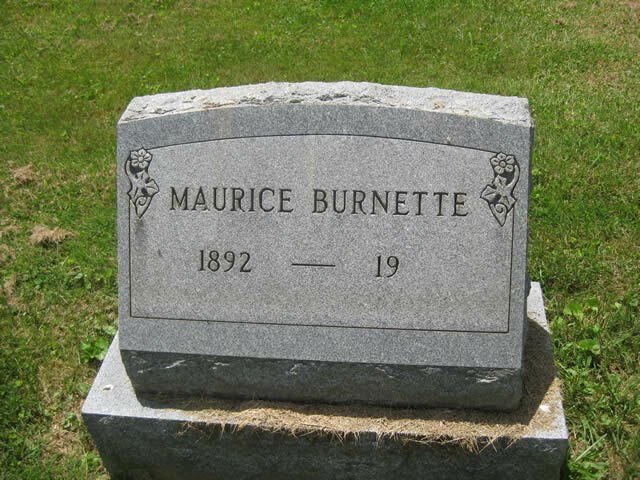 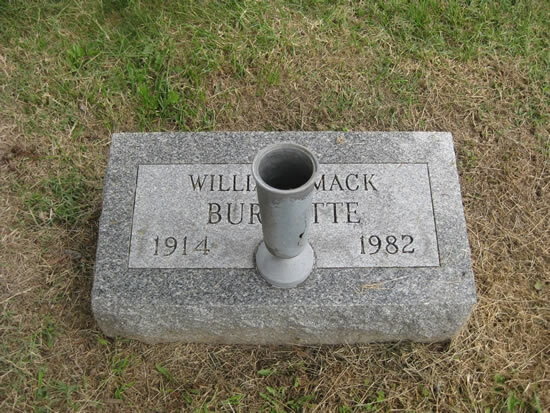 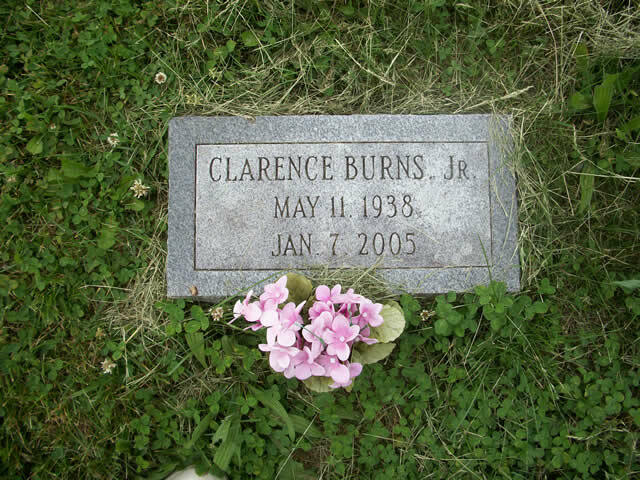 Burnette Charles R. OhioValley M.G. 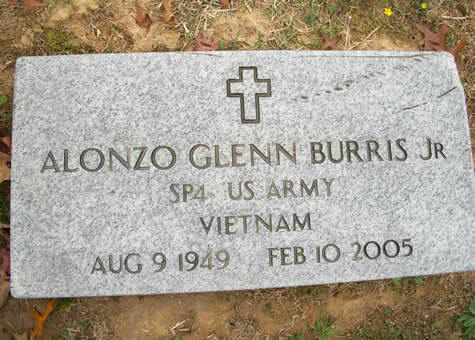 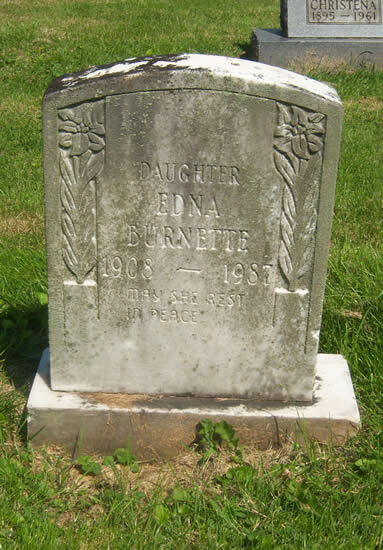 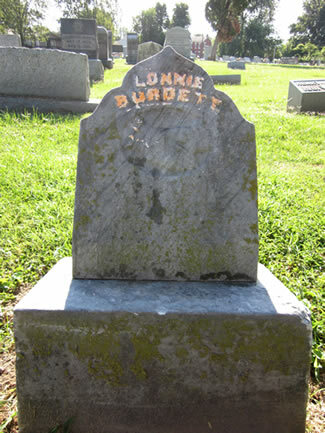 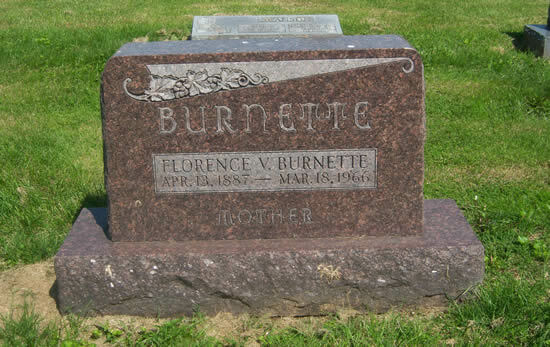 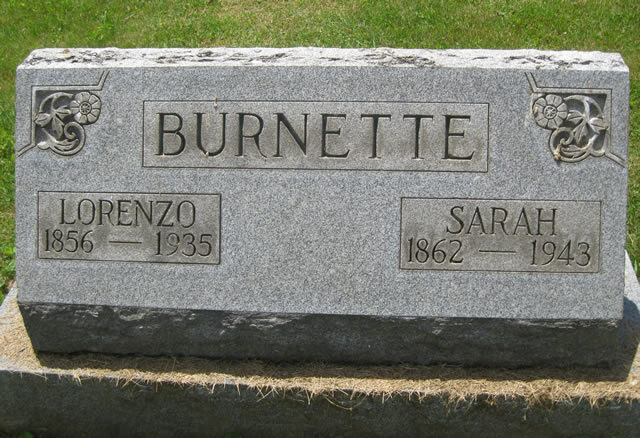 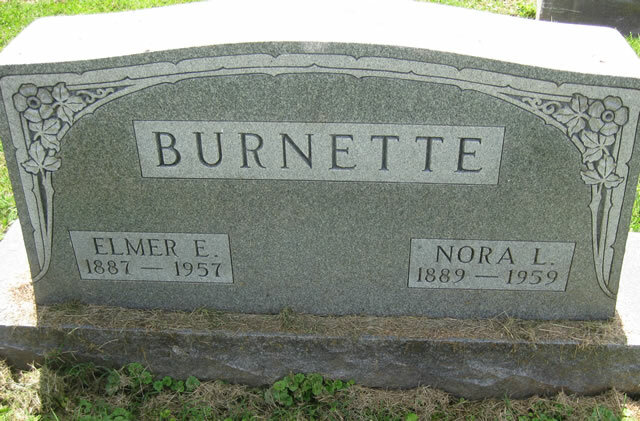 Burnette Leona M. OhioValley M.G. 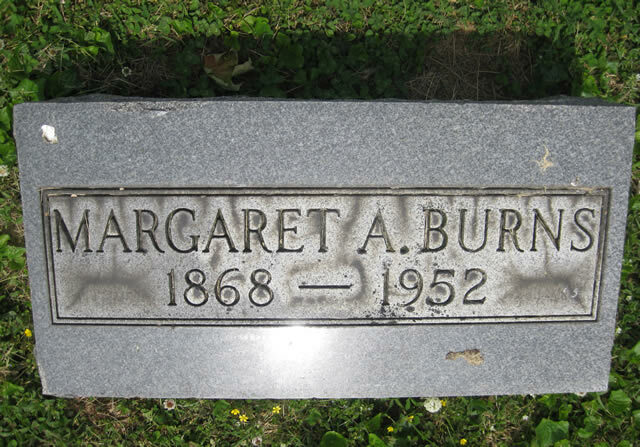 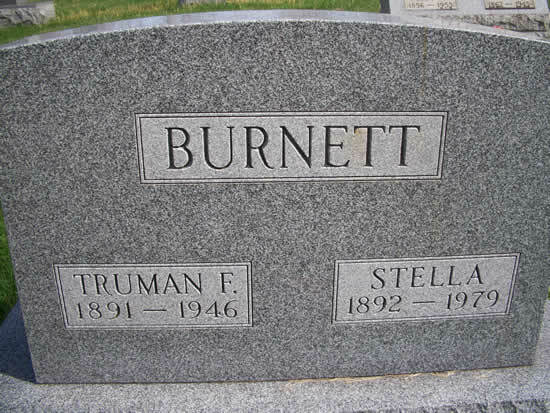 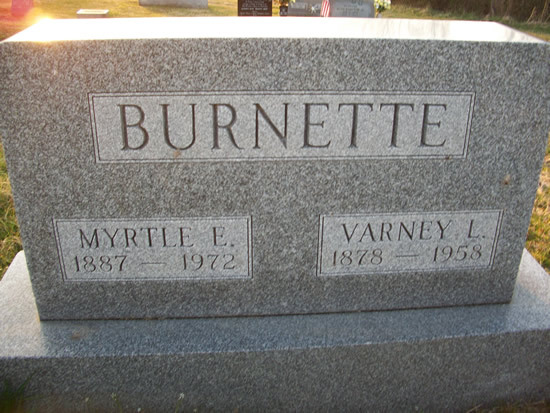 Burnette Margaret Pearl OhioValley M.G. 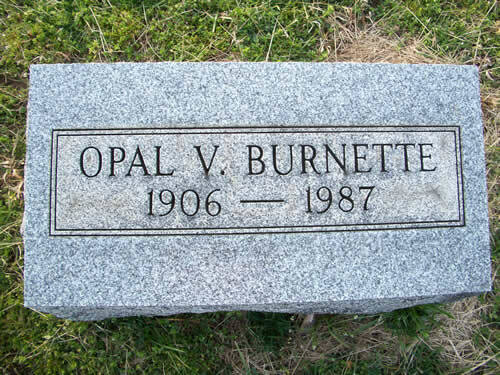 Burnette Ollie B. OhioValley M.G. 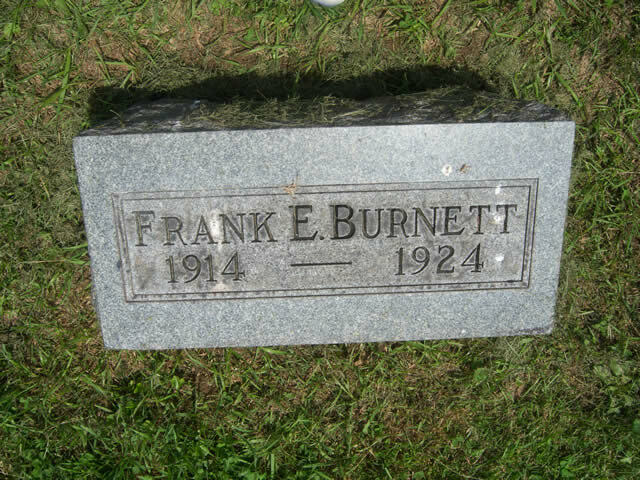 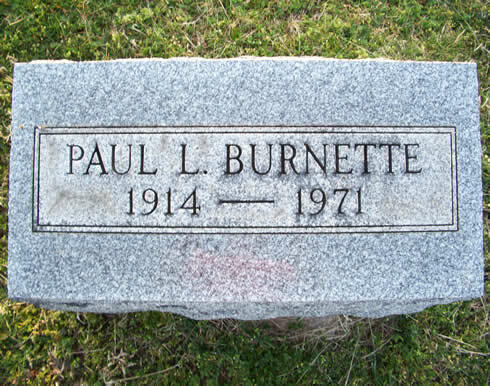 Burnette Paul E. OhioValley M.G. 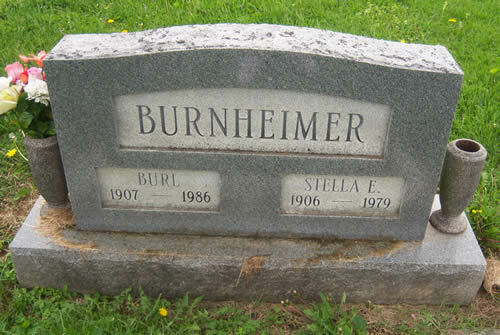 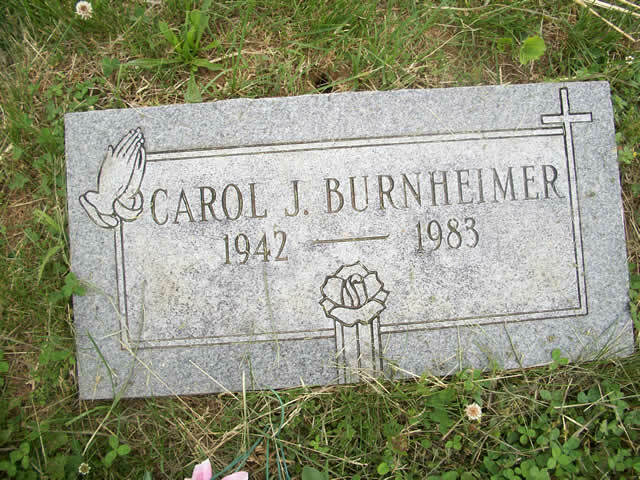 Burnheimer Vernon W. OhioValley M.G. 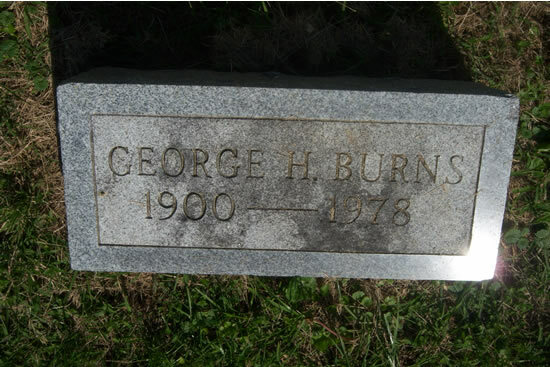 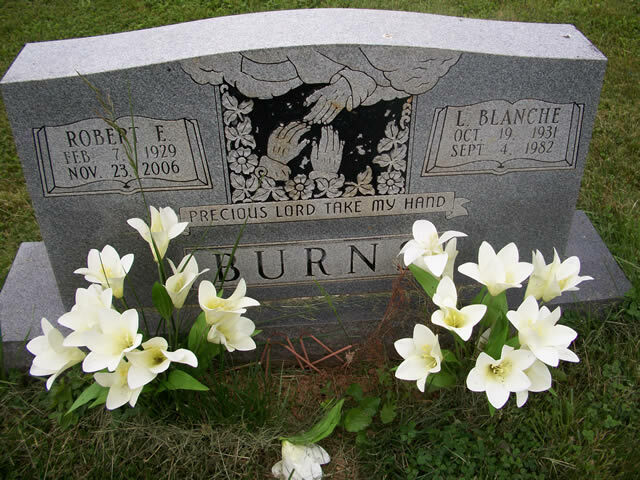 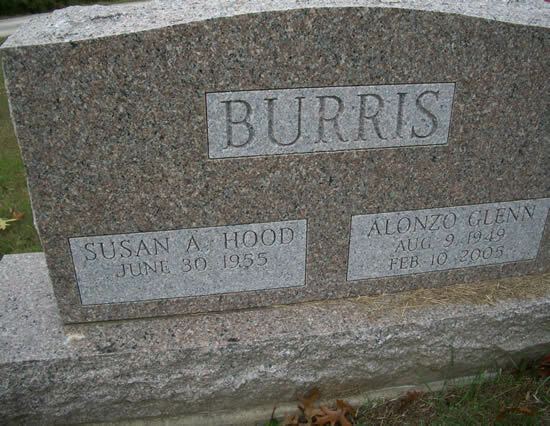 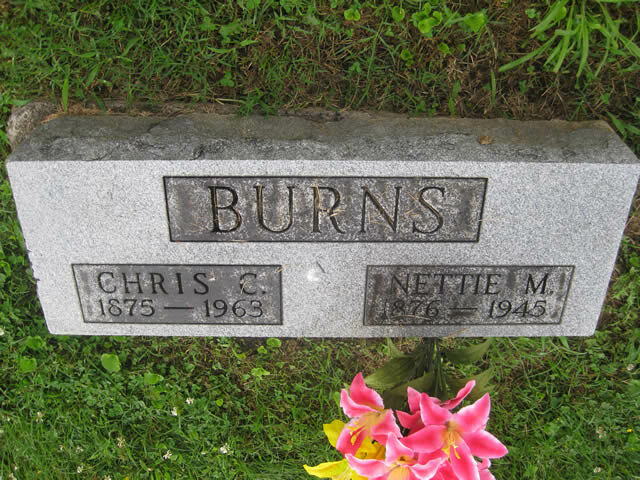 Burns G. Lillian OhioValley M.G. 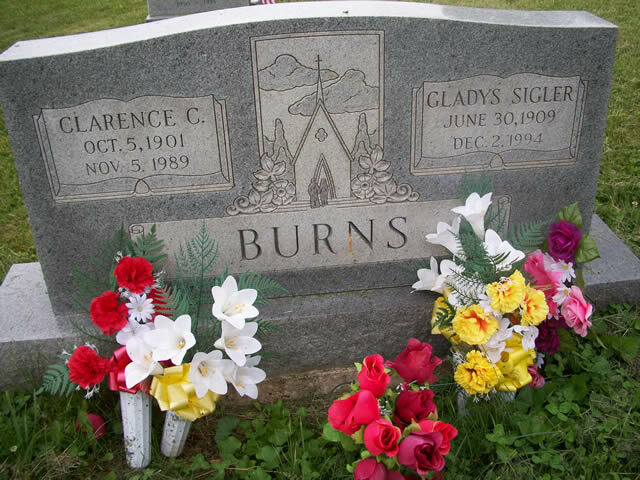 d/o Thomas & Mae Burns Jr.
Burns Thomas Sr. Calvary Bapt. 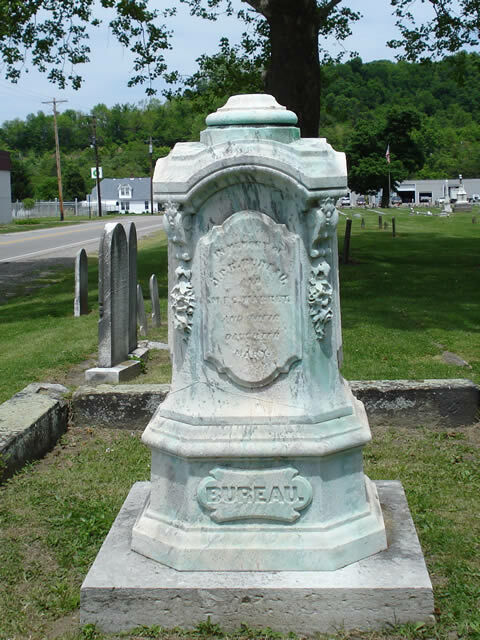 Co. H, 2nd WV Cav. 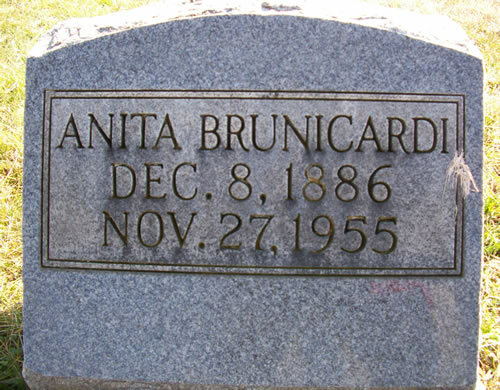 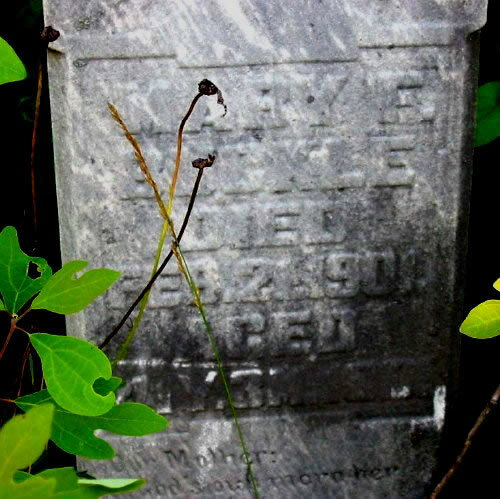 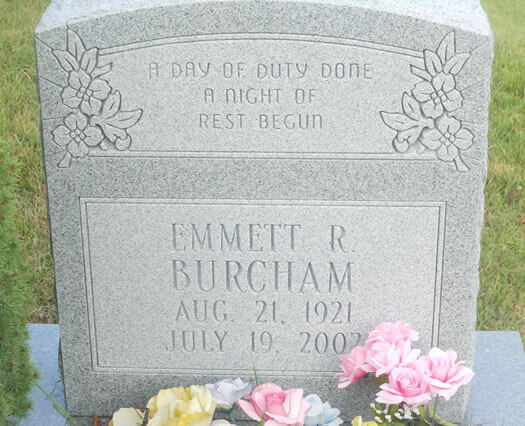 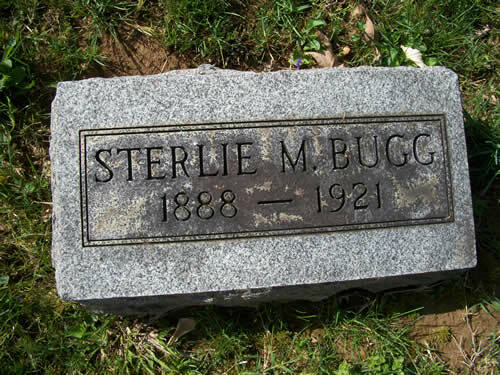 11/16/1887 3/15/1922 no stone; death cert. 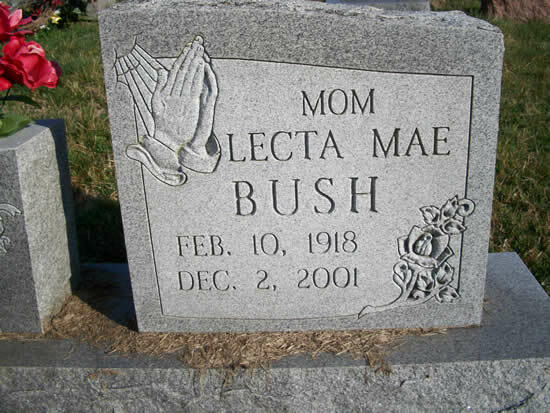 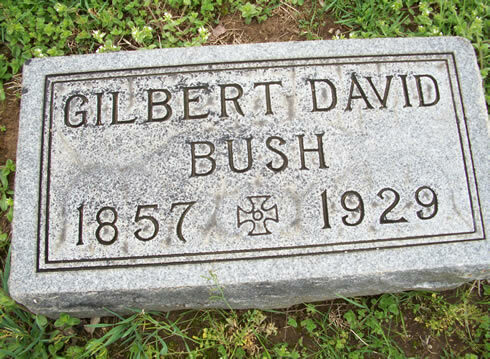 Bush Barbara Eileen Calvary Bapt. 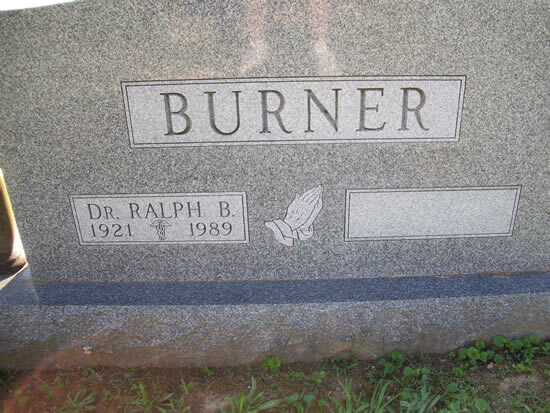 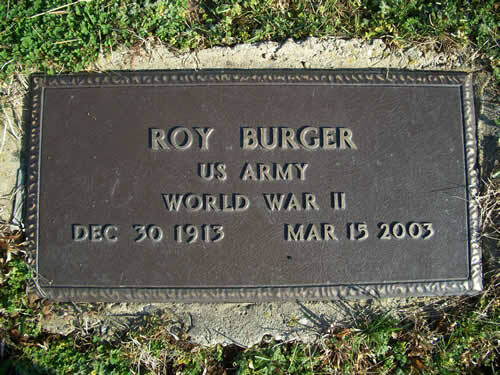 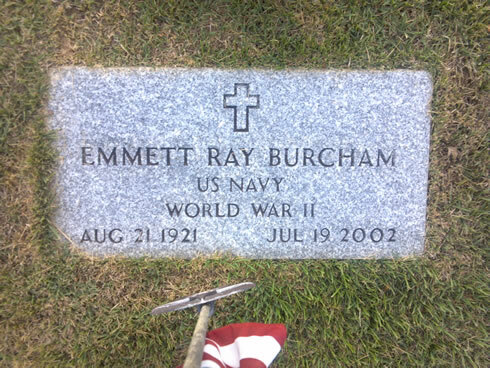 Bush Donald Ray Calvary Bapt. 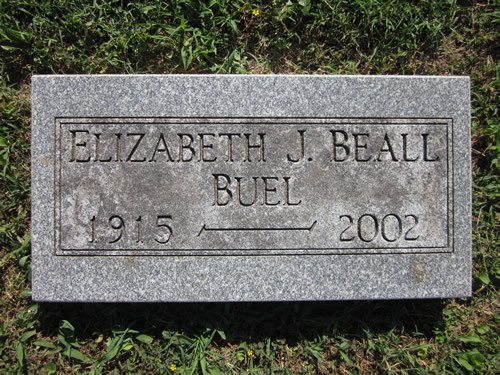 Bush Hazel Ellen OhioValley M.G. 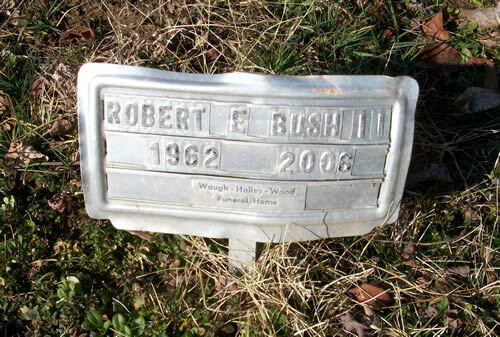 Bush Herbert L. OhioValley M.G. 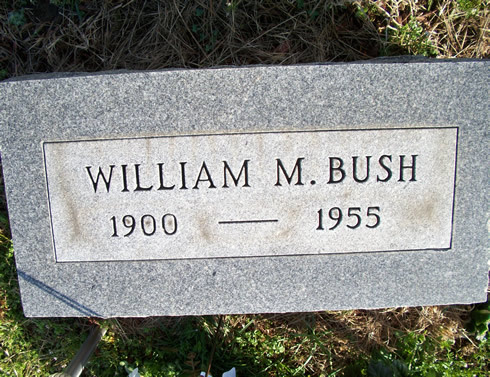 Bush Lillian L. OhioValley M.G. 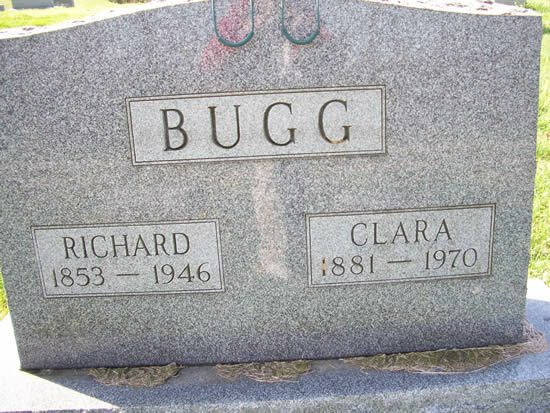 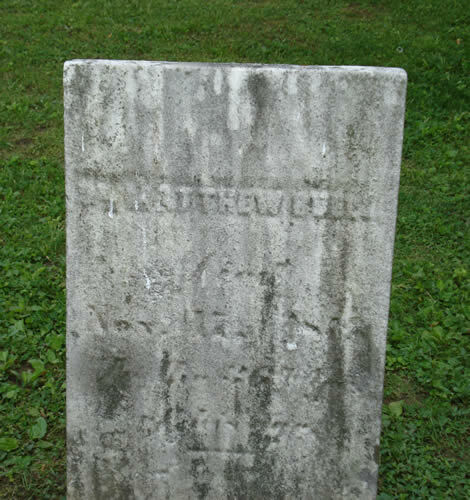 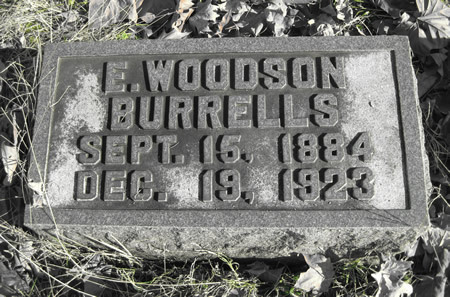 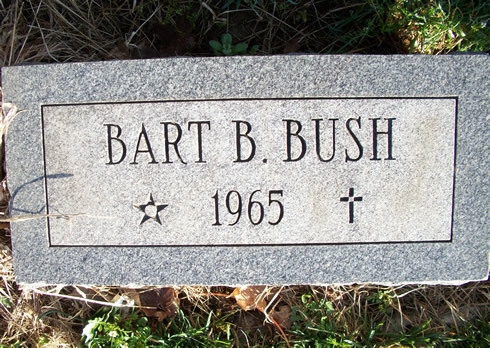 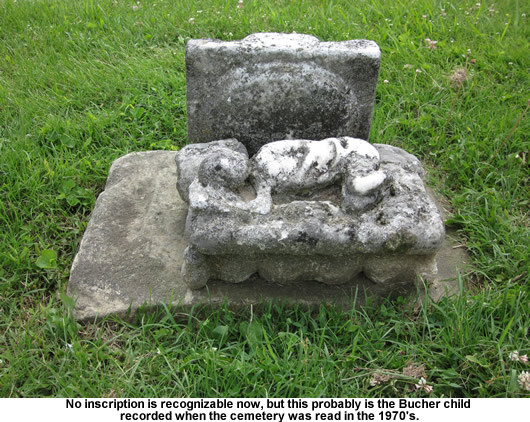 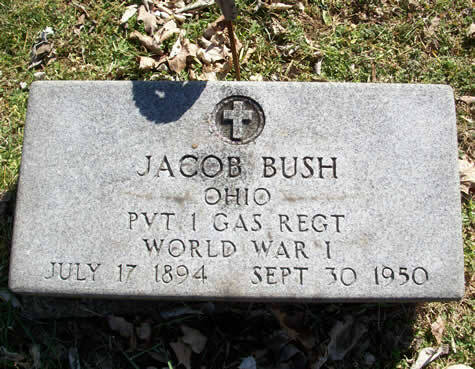 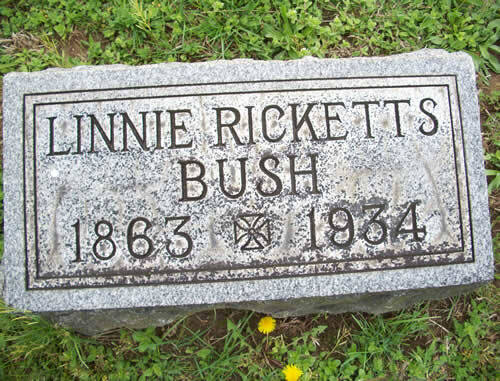 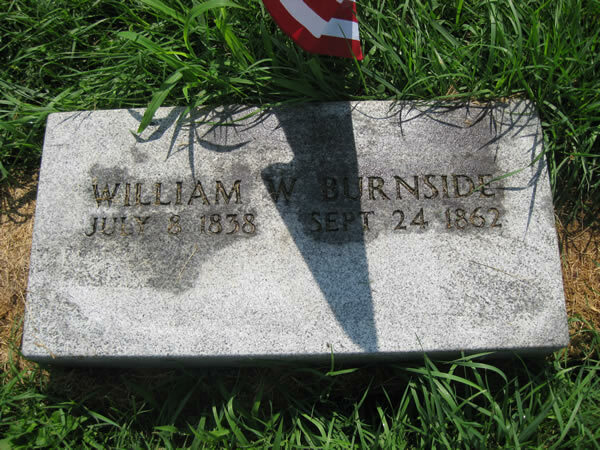 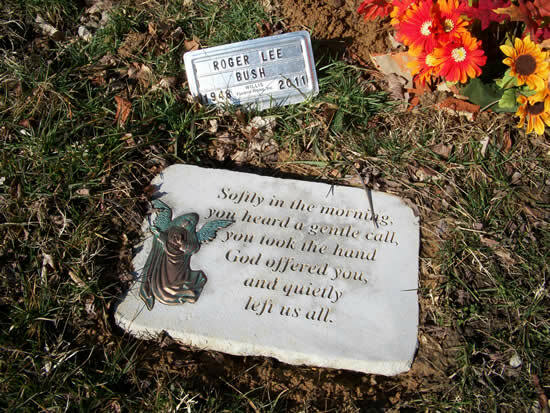 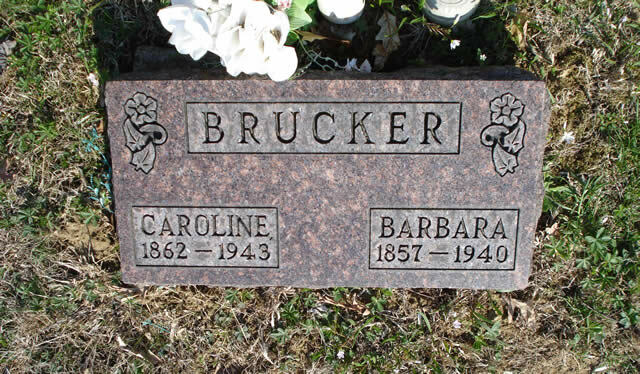 1/5/1894 3/22/1914 no stone; from obituary & d.c.
Bush Michael E. OhioValley M.G. 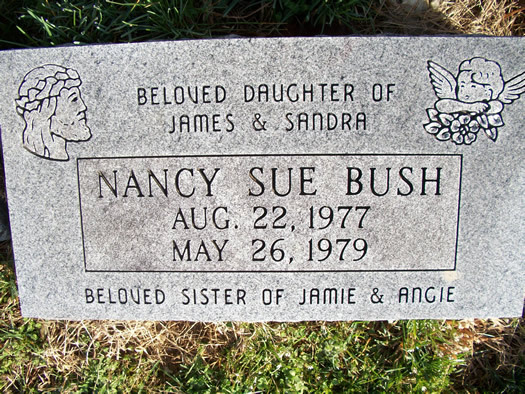 Bush Nancy LeMaster OhioValley M.G. 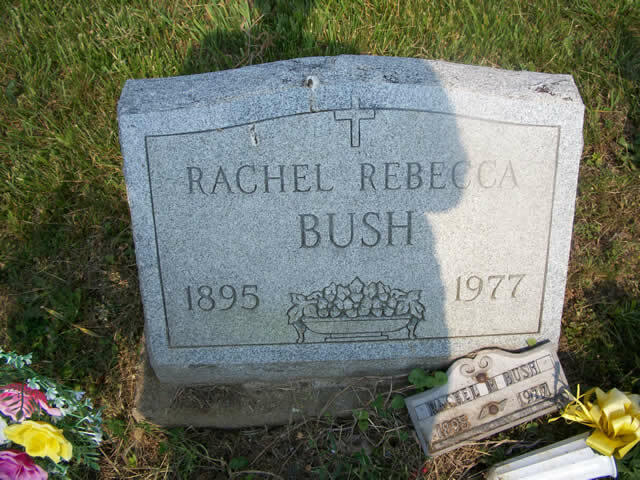 Bush Nancy R. OhioValley M.G. 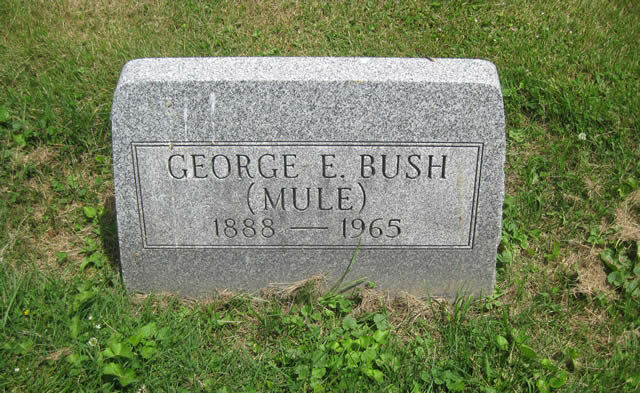 Bush Oddie E. OhioValley M.G. 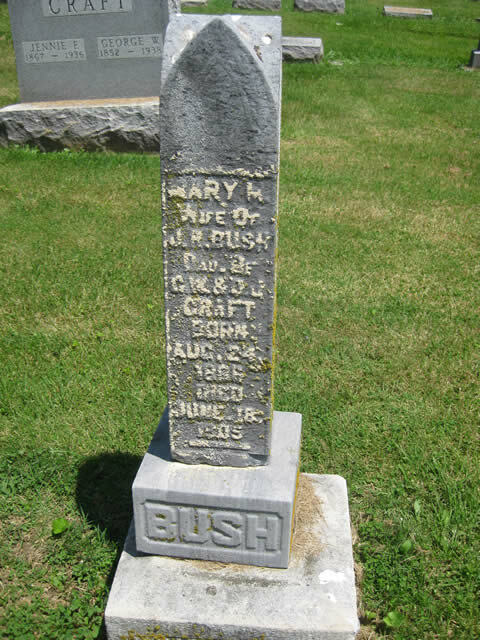 Bush Orville L. OhioValley M.G. 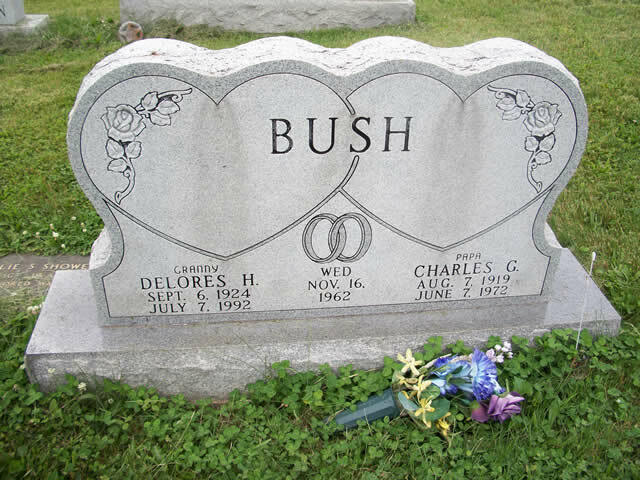 Bush Pauline Johnson OhioValley M.G.